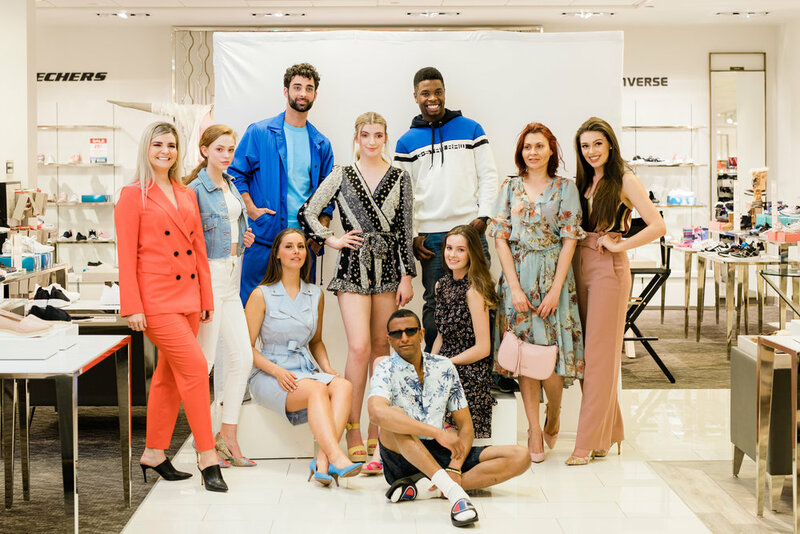 Nothing short of crazy but oh-so-amazing, beautiful people and shoes, accessories, fragrances, cosmetics and the #Spring50Fashion from the HUDSON’S BAY SouthCentre! That is how I spent a Thursday back in Calgary after flying back from Beautiful British Columbia in Victoria! Never in my dreams would I have imagined that one of Canada’s oldest companies would reach out to me to collaborate! I was in short and I could not believe this had actually happened. But after a month of Facebook messages, emails and phone calls I was on a flight from Victoria back to Calgary to lend a hand and curate some beautiful models and appreciate some much-needed spring fashion! The HUDSON’S BAY Southcentre Calgary was amazing in organizing some very on-trend complimentary services and snacks! From having professional eyebrow threading, on-sight manicures, the chance to have your hair & makeup done, all while listening to music or participating with a celebrity photoshoot through Revolutions Entertainment! Hosting. Something that I have never been comfortable doing, but I love organizing! The HUDSON’S BAY put me in charge of managing the models & hosting the SPRING 50 Fashion Show that presented 21 Spring Looks… no pressure eh. I was nervous. Like any event, things are always going to go the way you didn’t except knowing that they will work out in the end. Things happen and you have to be adaptable! I cannot be more thankful for my amazing girls that showed up to support this event! Being able to be part of the Calgary Community and share the opportunities that come my way, I have no issue sharing with others because it takes away from no one! Anyways, things moved fast, from fittings to makeup- the HUDSON’S BAY Team was brilliant! Hosting. 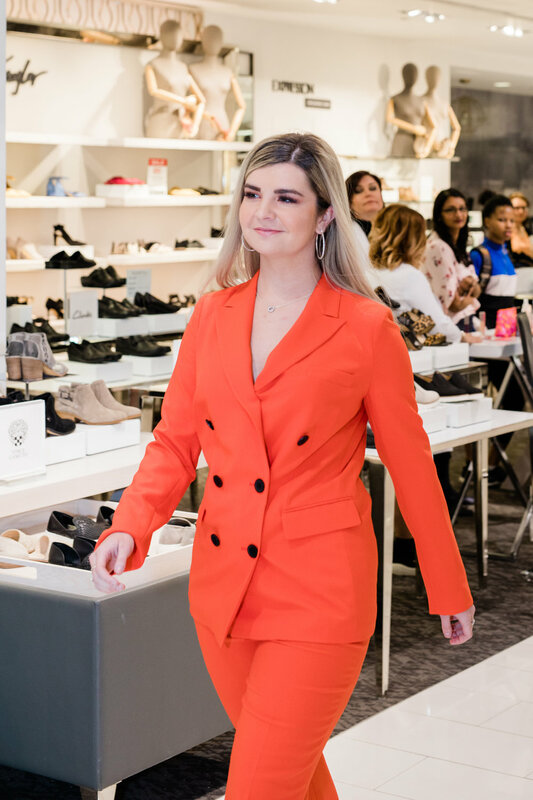 We had two SPRING 50 Fashion Shows to ensure that everyone in the store and following me on social media, could see what the HUDSON’S BAY offers this season! I was in love with the clothing! Thinking of what I can add to my personal closet! Situations are going to take you out of your comfort zone, but you never know what you can accomplish unless you go for it! A HUGE THANK YOU TO HUDSON’S BAY SOUTHCENTRE CALGARY FOR HAVING ME, ALONG WITH EAU CLAIRE PHOTOGRAPHY FOR THESE AMAZING SHOTS! This yellow dress by Molly Bracken with a denim jacket can easily make this look more casual, but without it- you can rock it with an eye catching pair of Cork sandals too! This YELLOW raincoat from Vero Moda & jean shirt from TOPSHOP paird with rainboots by London Fog will be perfect for puddle jumping! VERO MODA. CLASSIC HOODED PARKA. Exotic Animal Prints are another trendy pattern; add just one piece to your wardrobe and pair with a simple t-shirt! 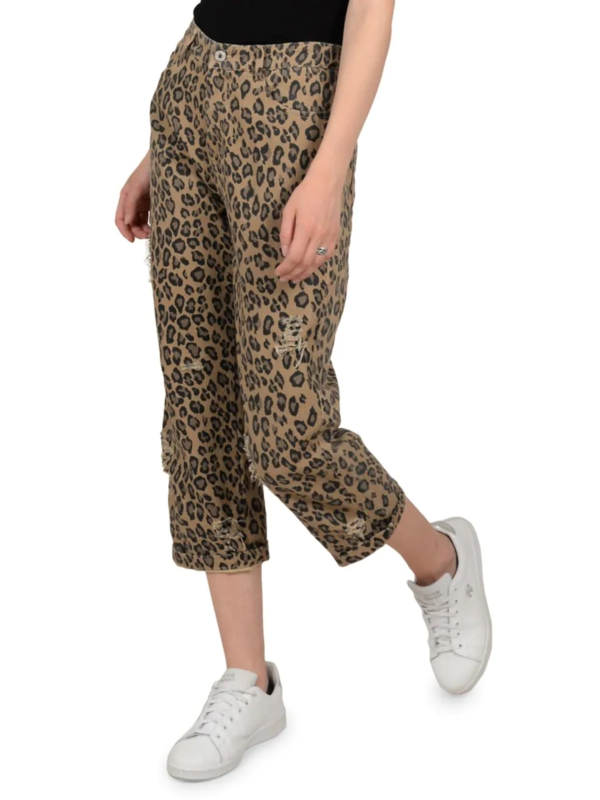 MOLLY BRACKEN, LILI SIDONIO LEOPARD PRINT CROPPED PANTS. They are not just light & fun! This dress by DEX can be dressed up with heels or dressed down layered with a jean jacket and runners for a more casual vibe. SAM EDELMAN. Evelina Slip on SneakeRS. 60’s inspired prints add a fun feel to this dress! Suitable for Work is new to HUDSON’S BAY and is geared towards work wear, with an elevated sense of fashion. EXPRESSION. Thea Rose Dress Mules. 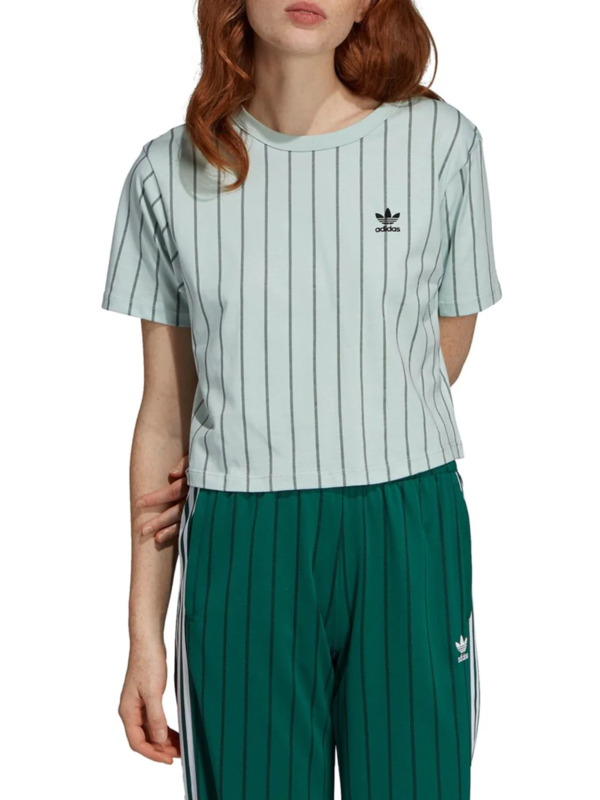 Retro-Active & logos are on trend on clothing and accessories! Paired with athletic bottoms this brings workout-wear to the street! VRERO MODA. CLASSIC LONG TRENCH COAT. BIRKENSTOCK. Womens Gizeh Thong Sandals . Trench coats are all the rage. Every designer is making one, they come in many colours and can take you from Day to night, Vero Moda paired with Birkenstock’s, which are also a great staple in your Spring to Summer closet. This is dressy but comfortable! Easily going from day to night with the elevation of how you choose to accessorize this look. LAUREN RALPH LAUREN. 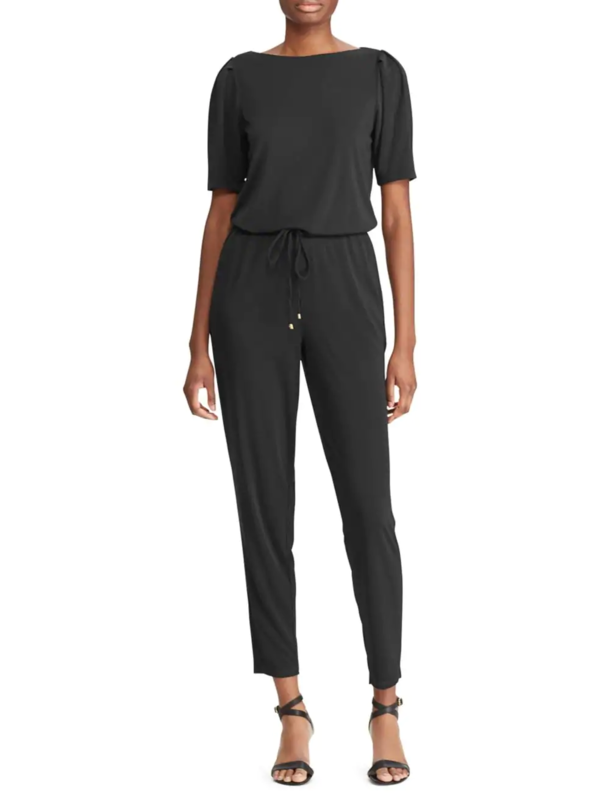 Puff-Sleeve Jersey Jumpsuit. LORD & TAYLOR. Pointed-Toe Suede Ankle-Strap Pumps. Floral is very on trend and easy to wear this season! It freshens up any closet. Remember you can always add a pop of colour to accent details in your clothing! Add a pop of colour that is soft and fresh! Paired with white it really updates the look! Bright fresh day dresses make a great addition to any wardrobe. Dress it up or down with a wedge heel and a scarf as a head band! Tailored Suits make a statement, in any colour! The bright orange really pops and updates any wardrobe by Suitable for Work. Paired with black python print heels to elevate the style, this look is ready to take on the working-world with a pop of brightness! SFW. Papaya Plaid Oversized Double-Breasted Blazer . Tiered is a Spring 50 look, the simple black dress gets a feminine touch with a flower print by Design Lab, a brand that is Exclusive to the HUDSON’S BAY. DESIGN LAB LORD & TAYLOR. Floral A-Line Dress.